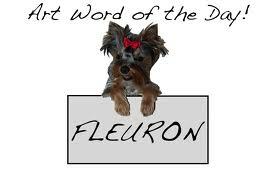 In my language (which is lithuanian, the oldest living language) there is no such word as a fleuron. Fleuron is considered to be element of architecture . I understand fleuron as ugly something (usually stupid ornament in book) which always annoys me. And always brings up question “WHY ARE YOU THERE”. I raided the books I have looking for this ugliness, however, only few were infected. For understandable reasons, pictures won’t be posted. This research made me aware of fact, that some people are urgently looking for fleurons. For wedding invitations, fiction books and etc..They are hard to find( what I kind of experienced myself), because people don’t even know how they are called..How to use them properly ( I also don’t know).. If you want to know more about fleurons and see some examples I provide you with a great link which I found on first page of Google. And then you come across “collaborative project” like Font Aid. Organization which is based on great ideas like creating and selling fonts based on certain tragedies (and part of profit is given to the victims). Earthquake and tsunami in Japan?? Oh great, let’s all create beautiful fleurons and sell them. Let’s involve more than 300 designers and let’s make less than 13 000 USD, oh jeeeee. Already four of those beautiful collaborations happened! When is the fifth coming across??? Well that depends on disasters, wars, tsunamis..Something strong we need to get inspired, don’t we.. And of course, all the information you are longing for is totally available right here. Did you like the video? Did you notice any fleurons? Did it help you to understand something better? If no, think about it, and watch video one more time. My suggestion to Font Aid would be just to contact those guys, I am sure they could help with more than 13 000 USD. So that is how I feel about this project. My feelings probably have nothing to do with the true reasons behind. And have a look at Building Letters Three magazine. You can still help 2004 tsunami refugees in Asia buy buying it for 35 euros (including free shipping). On the other hand I came up with the idea that fleurons are very natural for humans to make. They are brain drawings. When you sit there waiting for a call and nervous with a pencil in your hand and a piece of paper..There is a very great opportunity for a fleuron to pop out. The only question is how advanced your brains are. What is it there? Two little crossed flowers or teddy bears? Fleurons can be very different and loads of them are just ridiculous (for me). I saw one in the Building Letters Three magazine. So there is this green leaf with white flower in it. The flower has eleven petals and Mother Earth in it. Eight human figures are standing on Earth holding each other hands and flowers in between. Below it is written People ARE Flowers. With People and Flowers in the same handwritten font. Word ARE is in bold and fat font. You don’t want to see it. My conclusion would be that fleurons are not necessary, though they are. That we don’t notice them until they are ugly. We don’t need them until we do. We can’t find them because we don’t know what they are. New fleurons worldwide won’t be created till something big and awful happens. Fleurons representing the pain of many. Sold for not much for not many. How poetic and cruel. The fleuron. Will hurt your eyes.